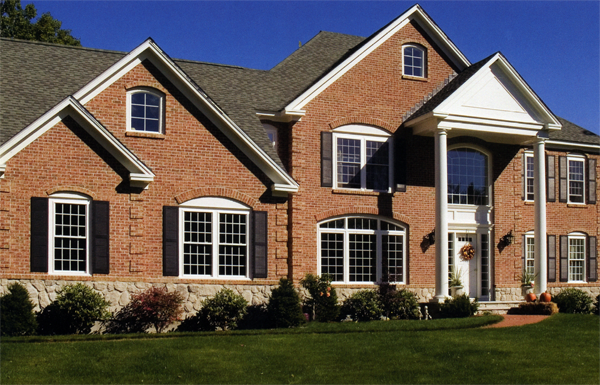 Do you need brickface stucco in Columbus Ohio? 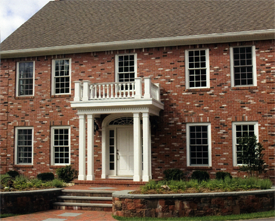 The Brikface finish is a masonry stucco process of a minimum of (3) coat applications of hand-trowelled instant-crete formula cementitious material, handcrafted in the final application to simulate the brick design and texture specified in a wide choice of colors, textures, sizes, and patterns. All labor, materials, equipment, supervision, and related services necessary to complete the proposal wall surfacing application. Tools and equipment are specifically designed and manufacturing for specially trained artisans and craftsman. The long term durability of this product is related to the suitability of the surface upon which it is applied and other protective elements. Therefore, if needed, separate and detailed specifications containing recommended preparation work will be included. Initial application, or scratch coat, of Instant-crete formula cementitious material is applied, allowed to set slightly, and then scarified or "scratched". The second application, the mortar color coat, of Instant-crete formula cementitious material is then hand applied and allowed to set. This second application often uses the natural color of Portland cement; however, if desired and specified, it can be speciaally colors. The third application, the finish color coat, of specially colored Instante-crete formula cementitious material in the selected brick color is then carefully hand applied. If specified, a texture coat is also applied at this time. 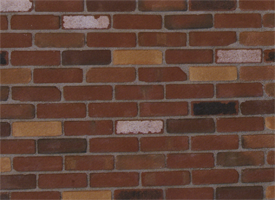 Once the finish color coat (and texture coat) has set sufficiently it is scored deeply enough to reveal the mortar color coat in the pattern and size selected. Note: when desired and specified, a custom toning (a process of hand applying your choice of available color to various and random face of your chosen pattern) is available at an additional cost. Dark Brown Brickface with Toning added and Window Trims on Corners Quoins. 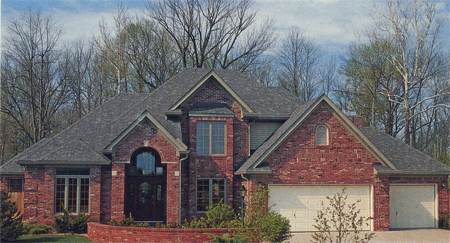 Tile Red Brickface with Tonint Colors Added and Corners Quoins in Brickface. Tile Red Brickface with Toning Colors Added. Used Brick Look with Toning Colors Added.